TreeMap is using a Red-Black tree implementation. A red–black tree is a data structure which is a type of self-balancing binary search tree. 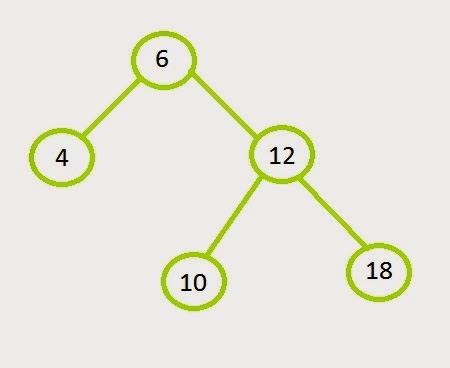 When the tree is modified,the new tree is subsequently rearranged to make it balanced. 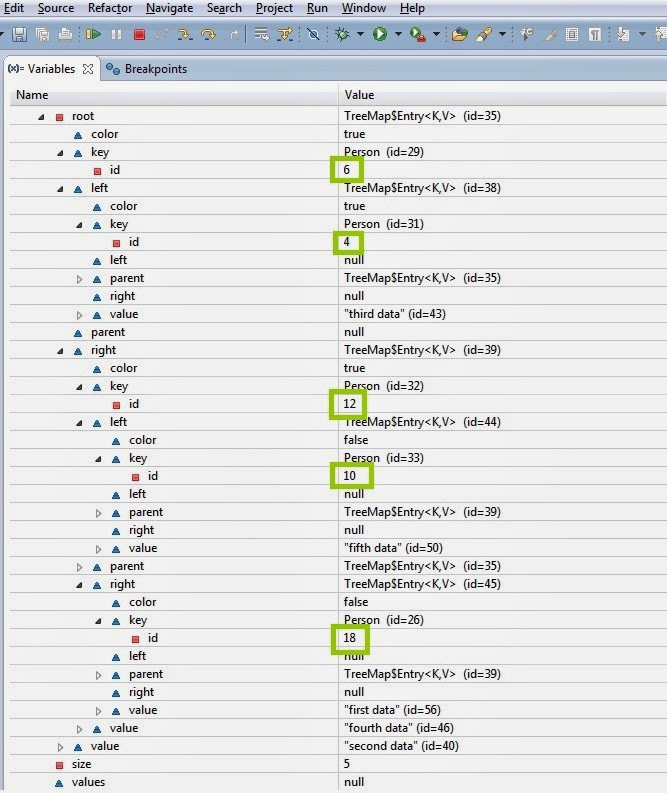 TreeMap is used to sort the data.If you are using the default constructor , sorting is done on the basis of natural ordering (Comparable in case of String) and if you provide Comparator , the sorting will be on the basis of compareTo function. As we have used TreeMap default constructor and having String as key , the sorting will be on the basis of characters (a , c , d , f and h). Now we will try to understand , how to implement Comparable and Comparator in program. We will use Person class having id field and we want the sorting to be done on the basis of id. The above result shows that the sorting is done on the basis of id. TreeMap is used to sort data on the basis of comparable or comparator.TreeMap uses Red-Black tree implementation which is self-balancing binary tree. Using TreeMap is expensive as it will try to shift nodes every time modification is done in order to balance the tree.